I have a bit of exciting non-book news to share regarding the population of planet Earth. Despite some concerns about the number of humans currently residing here, Lindsay and I decided to risk increasing that number by one. We're expecting our first child in late June, and we couldn't be more excited. I'm anticipating this will affect pretty much every aspect of my life... but it shouldn't seriously delay the last three books in my fantasy series, The Citadel of the Last Gathering. I've already got those written, and expect to have Book 7, Alaji the Witch, out before then. My plan is to have books 8 and 9 almost completely edited before my life turns upside-down in June, so it'll just be a matter of getting them out. While I can't promise a few self-imposed deadlines won't get a little "fuzzier," I want to assure anyone reading these that you're not going to get 2/3rds of the way through and discover the series isn't getting finished. The books are written, I'm extremely happy with how they're coming out, and the series - in its entirety - is going to be released. Other than that, I hope everyone had a great Christmas. If you haven't been keeping up with Mainlining Christmas, we posted a bunch of reviews of old and new Christmas movies and specials, along with several new podcast episodes (most recently, we chimed in on the Die Hard debate). What else? I've been heading to the movies while I still can - look for my reviews of Bumblebee, Into the Spider-Verse, Aquaman, and Mary Poppins Returns over at The Middle Room. It's been a fantastic month for movie fans. In fact, it's been a fantastic year - you can find my rankings for 2018 movies here. Other than that, I'm going to enjoy the last few days of my vacation and get back to editing. As always, thanks to everyone reading and following along - it means a lot. 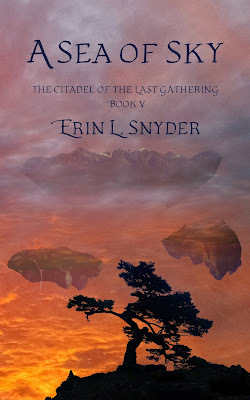 A Layer of Ash, the sixth novel in The Citadel of the Last Gathering, will be available for the Kindle on October 26 and available in paperback around the same time. You can find the pre-order page for the Kindle version here if you want to ensure it's delivered to your device the minute it's available. Between its darker tone and autumn setting, A Layer of Ash would make a good Halloween read. If you're caught up on the first five novels, you'll be rewarded checking this out sooner rather than later. And if you're not caught up, you've got just enough time between now and the 26th! While releasing two novels in one year has certainly been tiring, we're going to try and do it again in 2019. The last three books in the series have already been written, and we're planning to have book 7 revised and released in spring or summer, then book 8 in fall or early winter. The ninth and final installment should be ready sometime in early-to-mid 2020. I couldn't be happier with how this series is coming along. A Layer of Ash, in particular, is one I'm extremely proud of, and I hope you'll give it a chance. A Sea of Sky Now Available! A Sea of Sky, book five in The Citadel of the Last Gathering, is now available for Kindle and in paperback! To celebrate the release, we're also offering the first four novels at a free or discounted price between today and Saturday, so this is a good time to catch up. The horizon is broken; earth and sky are one. Alaji and Yemerik arrive in a world where the remnants of old empires are scattered to the winds. 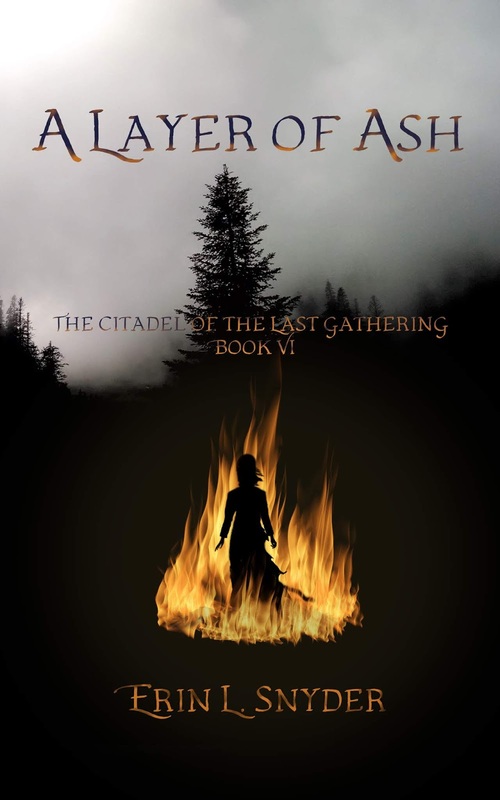 Survivors have rebuilt on islands suspended over a world of unimaginable danger. They are seeking a fellow time traveler, hoping he will help them restore the fractured timeline and return Alaji to her home in the distant past. But even if they find him and win his help, there are obstacles beyond the sea of sky. Revelations and betrayal will force Alaji to confront questions and doubts she's long avoided. After everything she's seen and experienced, does she still want to return home?